NBN Co, the company responsible for building and operating the National Broadband Network, will introduce a new $22.50 entry level bundle next month aimed at very low usage customers. The new bundle discount will finally allow Retail Service Providers to include customers with 12/1 Mbps AVCs in the same pool of bundled CVC from other bundled offers. Each Entry Level Bundle will include a 12/1 Mbps AVC and 0.15 Mbps CVC, which contributes to a common pool shared with the High Bandwidth Bundle Discount which started in May 2018 and the Fixed Wireless Bundle Discount which started last month. However, there is a catch. 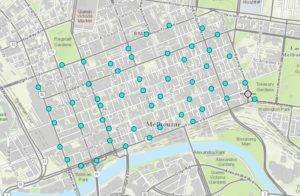 NBN Co will charge service providers who, on average, exceed 0.15 Mbps per AVC during peak hours an additional $22.50 per AVC. This prevents providers from taking full advantage of the included CVC from other included bundles. NBN Co will use a new metric called “Daily Peak ELB Bandwidth Usage” to calculate the peak usage for billing purposes. It will use the highest 30 minute period of aggregated entry level bundle download usage to determine a daily peak usage. The peak usage is then averaged across the month to determine if the provider exceeded the threshold. Providers who opt for the new entry level bundle will be excluded from the 50 Kbps CVC credit previously available for each AVC. The bundle will be made available to providers from 2nd October. 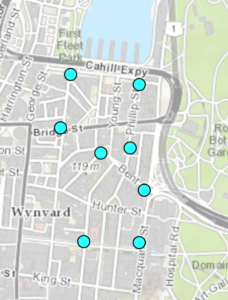 If you live in Sydney or Melbourne, I’m sure you would have seen one of those dockless sharebikes by now. If not, you’ve certainly seen them featured in the news for ending up in the Yarra or up a tree. So, that’s what I did. Not to Katoomba as I had originally tweeted, but to Newcastle. 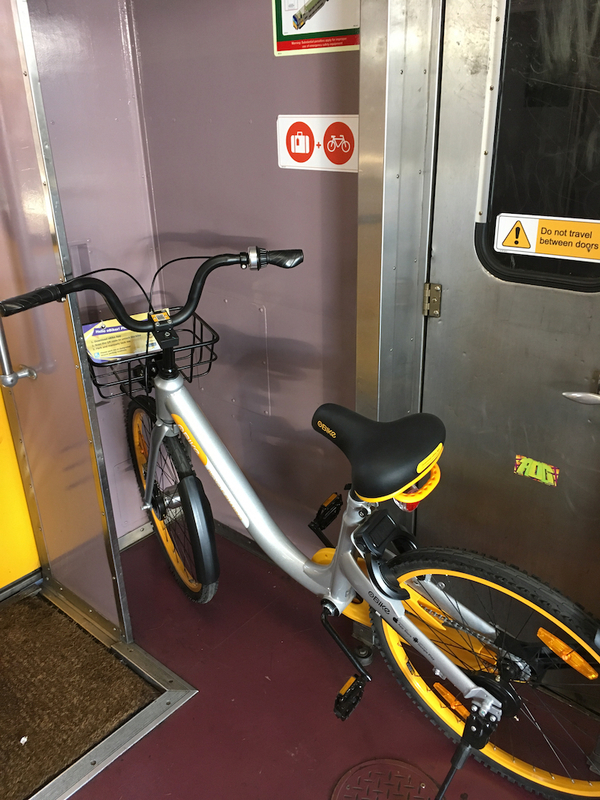 One afternoon in October last year, I rode a bike parked near Central Station onto a NSW TrainLink V-set (#purpletrain) bound for Hamilton (Newcastle). Once on-board, I parked it in the designated public parking spot on the train — labelled clearly in the vestibule area — and locked it. 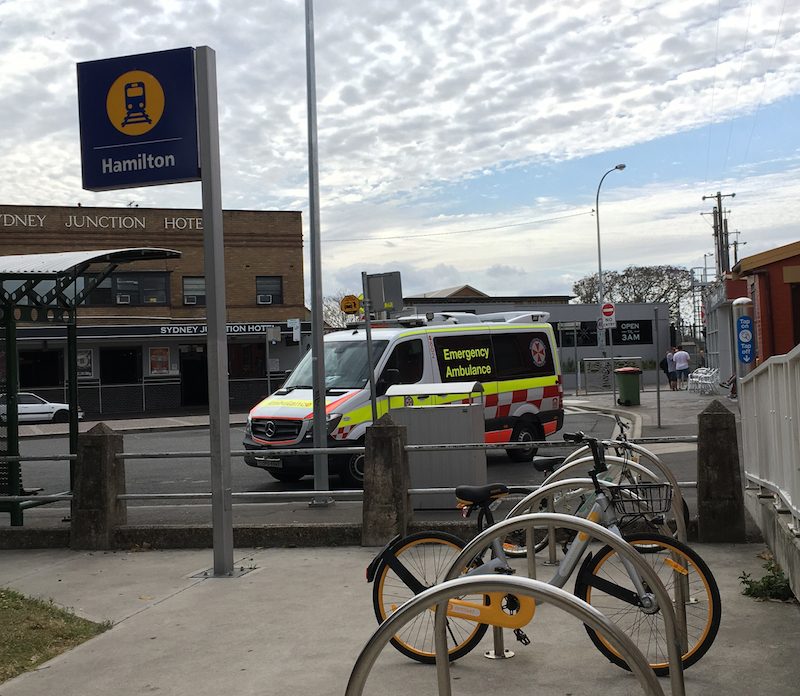 About 3 hours later, the train pulled into Hamilton Station (the terminus of the Central Coast & Newcastle Line at the time). I unlocked the bike and took it for a quick spin around the block. 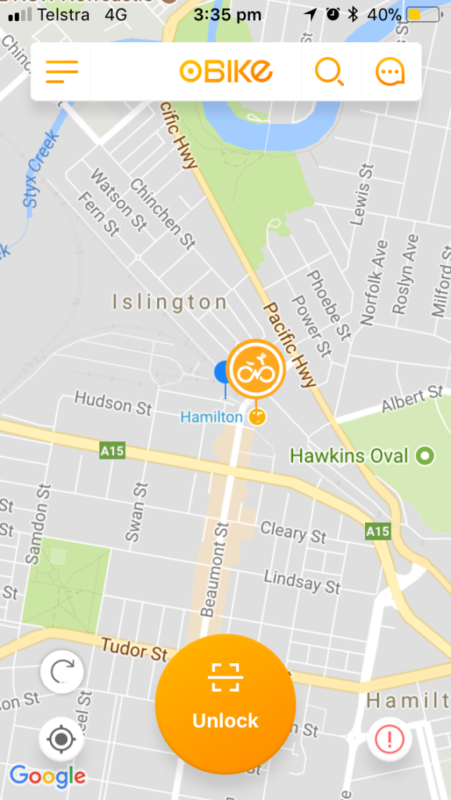 One thing I was glad to see was the presence of dedicated bike lanes near Hamilton Station! I’m a bit busy at the moment, but I thought I’d put together a few of my initial thoughts and questions on the new CVC pricing. Thanks to a handy-dandy embargo, there are already a plethora of articles around detailing NBN Co’s new (proposed) pricing construct this morning… so, I won’t bore you with the exact details of the changes. But if you’re not already up to speed, naturally I’d recommend a read of Angus Kidman’s article on the changes on finder.com.au… but this time, it’s also because it includes an analogy to pots and stovetops. If that doesn’t float your saucepan, other articles are just a quick search away. The new nbn™ 50 AVC with 2 Mbps of bundled CVC comes in at $45 ex GST vs $34 ex GST currently but with only 50 kbps CVC bundled1. So the cost difference of $11 ($45 – $34 = $11) is what an RSP would have spent on CVC under the current model. Assuming the industry average charge of $14.25 per Mbps2, the $11 left over would allow them to purchase 0.77 Mbps ($11 / $14.25 per Mbps = 0.77 Mbps). Since the new nbn™ 50 comes with 2 Mbps, this represents a 1.6x increase in CVC allocation per user for the same price. Not bad. On the other hand, the new nbn™ 100 looks nowhere near as generous. The new nbn™ 100 AVC with 2.5 Mbps of bundled CVC comes in at $65 ex GST vs $38 ex GST with the 50 kbps CVC credit bundled1. Doing the same calculations as before, this leaves $27 for CVC under the current model. This is equivalent to ~1.89 Mbps of CVC using the industry average rate1, or a 0.3x increase in CVC allocation per user for the same price currently. That’s tiny. 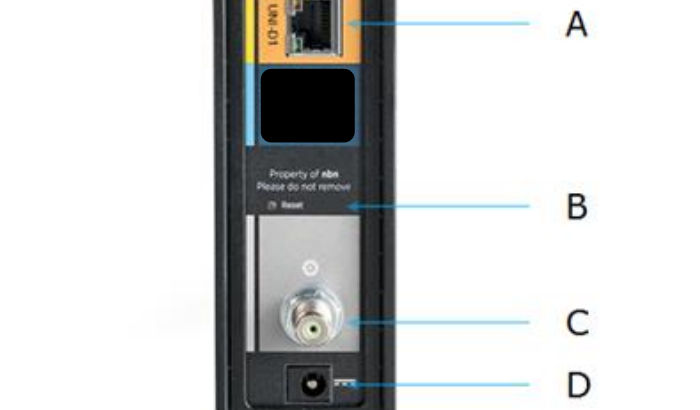 Given this, I wouldn’t expect the take-up of the new nbn™ 100 product to be huge. The new construct effectively forces RSPs to buy at least 2.5 Mbps of CVC per user all year, all around… which could be a problem. This constraint will likely deter providers (especially those in the low-cost market) from selling a 100/40 product since: a) CVC-equivalent cost per user is likely above the current annual CVC average cost per user on a 100/40 retail offering, and; b) it gives RSPs no flexibility to reduce CVC in the low-demand season. Remember, bandwidth requirements can fluctuate seasonally — usually peaking during school holidays. If NBN Co were to retire the current separated AVC/CVC product set completely (which, by the way, it has NOT said it would do), I’d be surprised to see any 100/40 Mbps plan priced under $110 retail. CVC mixing for bundled and unbundled products? An interesting question is whether NBN Co will allow mixing existing unbundled and new bundled products in the future. I doubt they would — otherwise, providers will just buy a bunch of new nbn™ 50 products and allow other customers on the non-bundled AVCs to free-load off the bundled CVC. How will Dimension-based CVC discount be calculated? On the front of the Dimension-based CVC discount: if NBN Co allows both bundled and unbundled products to co-exist, will the average CVC allocation per user be calculated across both bundled and unbundled products? If they don’t, RSPs may no longer be able to afford to offer services to low usage users. These users might cost RSP too much to bump up to the new product set, but since the average CVC per user in the unbundled segment has plummeted, it may cost them too much to leave on the unbundled segment as well. But if they do, the unbundled products could end up hurting NBN Co’s bottom line more as NBN Co will likely have to pay out more of the dimension-based CVC Discount to RSPs who adopt the new bundled products but also retain a good smattering of unbundled products. Note that I am using the industry average1 CVC pricing here as the benchmark. Even if an RSP allocates more CVC per user on higher speed tiered AVC, the current dimension based CVC discount is calculated on the average CVC allocation per user across all CVCs — making the average a realistic comparison benchmark for most RSPs unless they skew significantly from average. If they currently allocate more CVC per user than the industry average, the apparent savings under the new structure would be smaller because of the current Dimension-Based Discount. Conversely, if they allocate less CVC per user than the industry average, the apparent savings under the new structure would be greater. 1 Currently, each AVC comes with a 50 kbps CVC credit. Since it’s such a small amount, we might as well disregard for the purpose of this discussion. 2 Industry average based on ACCC NBN Wholesale Market Report. Average CVC per user is 1.09 Mbps, falling within the 1000 to 1149 kbps bracket in NBN Co’s dimension based CVC discount. This is equivalent to $14.25 per Mbps of TC-4 CVC ex GST. 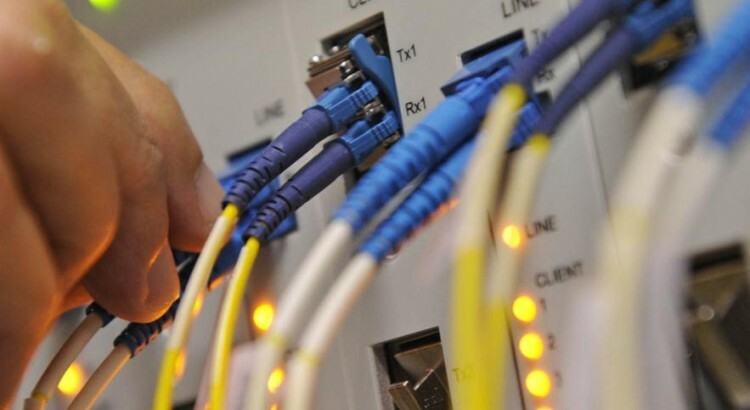 NBN Co, the company responsible for building and operating the National Broadband Network, released the third version of its Wholesale Broadband Agreement (WBA3) last Friday. 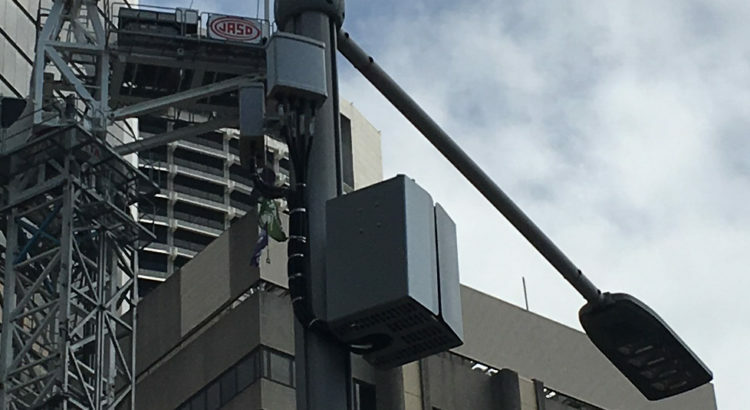 In the new agreement, the company renamed its main product previously known as “NBN Co Ethernet Bitstream Service” (NEBS) to simply “nbn™ Ethernet”. The new agreement also combines several documents including the product description, technical specifications, price list and fair use policy into a single document now known as the “WBA nbn™ Ethernet Product Module”. In a separate media release published on the NBN Co website, the company also revealed it plans to trial a new appointments system. The new system will allow end users to reschedule appointments with installers directly, rather than having to contact through their service provider. Despite having recently consulted with its retail partners to make changes to current two-component pricing structure, the company did not include a new pricing structure in this version of WBA3. The company has indicated it will reveal its intentions for the new pricing structure by the end of the year. Last Friday, the company responsible for building and operating the National Broadband Network (nbn) launched its Large Commercial Passenger Aircraft (LCPA) Satellite Mobility product. After trialing a proof-of-concept aeronautical satellite product with Qantas earlier this year, the company has released commercial supply agreements including product descriptions and pricing. 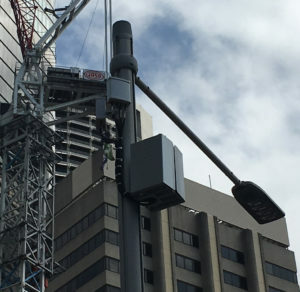 nbn will charge satellite mobility (LCPA) customers at a significant premium for both its access and connectivity compared with the standard NEBS (NBN Ethernet Bitstream Service) Satellite product. 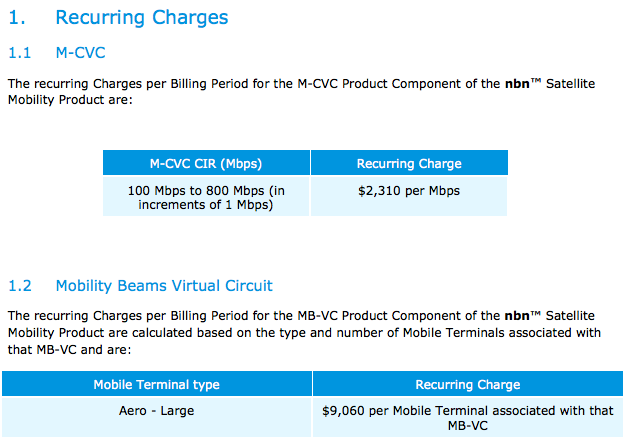 On the connectivity side, the Mobility-CVC (M-CVC) will cost $2,310 per Mbps with a minimum order of 100 Mbps. This is compared to $17.50 per Mbps per month for the NEBS product plus a $200 NNI charge. 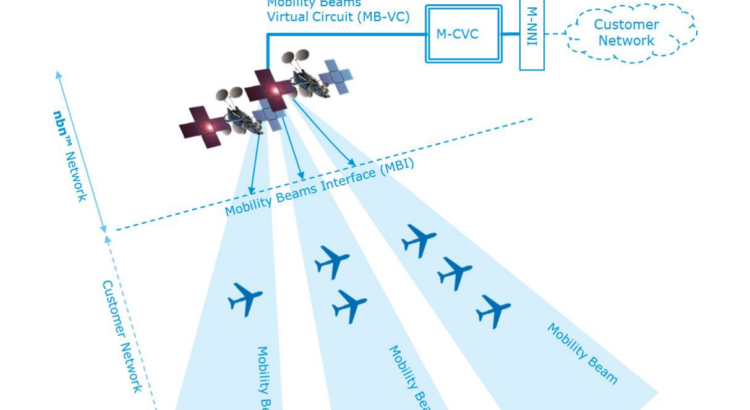 On the access component, nbn will charge $9,060 per month for each aircraft’s Mobility Beams Virtual Circuit (MB-VC). 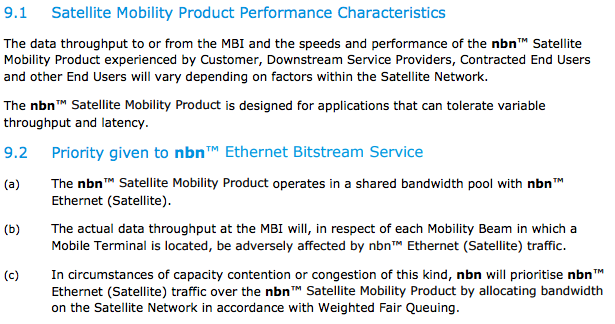 nbn states in its LCPA agreement that residential and business customers using the standard NEBS (NBN Ethernet Bitstream Service) product will be given traffic priority over satellite mobility customers. During any capacity congestion or contention event, nbn will use a Weighted Fair Queuing algorithm to prioritise NEBS traffic over Satellite Mobility product traffic. 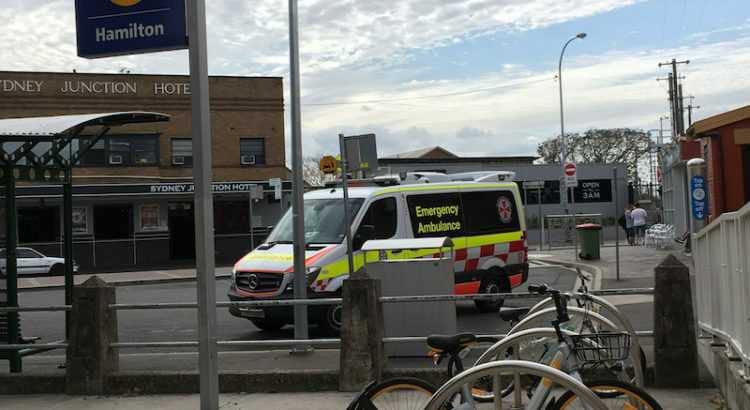 The agreement says that, as a result, LCPA traffic will “be adversely affected by nbn™ Ethernet (Satellite) traffic”. The LCPA launch comes as nbn revamped its satellite offering for residential and business customers in rural and regional Australia this month. The satellite fair use policy has been relaxed with data allowances doubled across the board.